HOW IS IT that the community that bred the IRA is treated with more sympathy than the loyalist and Protestant community? Why are Ulster Prods treated as ‘the lepers of British politics’? Serious examinations of loyalism and unionism are still scarce in comparison with the vast quantity of material available on the IRA and modern Irish republicanism. Until now, however, such books have tended to look at political and religious ideas and motivations rather than examine the questions above. In the first of two separate sections, he tries to work how loyalists see themselves by examining unionist propaganda material and its influence on determining government policy and winning grassroots support in Great Britain. Generally, however, unionists and loyalists do not present a pretty picture to their ‘fellow citizens’ in Great Britain. This is partly due to the media’s lack of analytical coverage of loyalism and partly because of loyalists’ own lack of presentational skills. 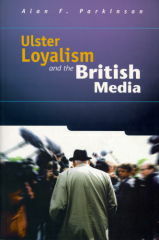 Parkinson argues persuasively that British politicians and the media have misconceived the true nature of loyalism by their virtually exclusive concentration on its negative aspects. This has simplified the Ulster conflict into ‘a struggle between the IRA and the British government’ in which the Prods are either ignored or dismissed as ‘bigots in bowler hats’ who probably deserve all they get. 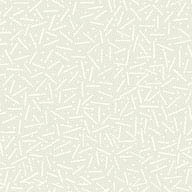 Parkinson looks at several key events in the history of the present conflict and sees how the same papers or television programmes handled them. The Enniskillen bomb on Remembrance Sunday in 1987 killed eleven people as they gathered around the town’s cenotaph is analysed in detail. This vicious sectarian crime – the work of the Provisional IRA - caused widespread revulsion throughout Britain and Ireland in a way that few others have, before or since. Why was this so and why were loyalists unable to win more sympathy for their cause in its wake? The media made great emphasis of local man Gordon Wilson’s public forgiveness of his daughter’s killers and castigated those who, like Ian Paisley, called for tighter security measures against the IRA. This ‘human interest’ angle overlooked the IRA’s motivation for their attack. Despite the fact that all eleven dead were Protestants, the media reported it as an attack on the wider community and humanity in general rather than as a sectarian attack on the town’s Protestant population. The author observes that the media tends to restrict the term ‘sectarian’ to loyalist activities and notes that there was no political analysis of the ‘Poppy Day Massacre’. Because of this omission, unionists and loyalists were not able to win any greater support for their cause despite the wave of sympathy for the innocent victims and their families in the aftermath of the attack. Perhaps it is time that unionists and loyalists took stock of their present abysmal situation and sought to put a positive case that can capture the imagination of our own people and the ordinary people of Great Britain, North America and Europe. A first step would be to read this book and then to do something about it! Over to you, David, Bob, Cedric and Ian!